28 Young Trade Unionists from across the British trade union movement visited Cuba to take part in the May Day celebrations in Havana and to offer their solidarity to the Cuban people on the 2016 Young Trade Unionists May Day Brigade, organised by Cuba Solidarity Campaign (CSC). Delegates from Unite, UNISON, GMB, CWU, RMT and USDAW – representing several million of workers in Britain and Ireland - joined trade unionists and political activists from around the world in a programme of solidarity work, political, educational and cultural visits. The delegates were also international guests at the May Day rally in Havana and the International Solidarity with Cuba Conference on May 2. 240 activists from 34 countries filled the Julio Antonio Mella camp in Caimito, Artemisa province, 25 miles away from Havana, where brigadistas completed programme of early morning agricultural and manual work. The 28 young members made up the largest delegation on the camp - a testament to strength of international solidarity with Cuba within the British trade union movement. Chile, Venezuela, Brazil, Palestine, Canada and South Africa also sent large delegations and many more countries from across Latin America, Asia, Africa and Europe were represented on the camp. 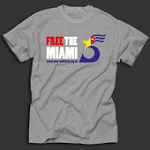 The agricultural work, which included clearing land, cutting grass, weeding, lifting and cleaning, gave a first-hand insight the struggle of life in Cuba under the ongoing US blockade, which denies the Cubans access to basic machinery and goods. 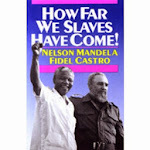 Transport to the farms was in the back of open-top trucks or trailers on tractors and cutting grass was done by hand with machetes; manifestations of a lack of access of resources due to the blockade. Before departing for Cuba, many of the young members reported how, following Barack Obama’s recent visit to Cuba and improving US-Cuba relations, there is a perception amongst colleagues and friends that the blockade is now over. The delegation saw first-hand that the ongoing blockade remains in place and Obama’s words of wanting to end the blockade are a long way from reality as US Congress appears unwilling to end the over 50 year old policy of aggression towards Cuba. Political discussions on topics including the role of trade unions in Cuba, analysis of the Cuban political system, the ongoing blockade and US intervention in Cuba took place on the camp. The brigadistas were esteemed international guests at the May Day Rally Celebration in Havana, where they enjoyed prime position, a short distance from the podium where Cuban President Rául Castro and CTC (Cuban TUC) General Secretary Ulises Guilarte greeted the huge crowds. Up to a million Cuban workers celebrated International Workers' Day under the slogan: “For Cuba: Unity and Commitment” in Havana. The huge crowds gave the impression of a national rally – yet Havana’s rally represented just Havana province - May Day rallies took place in each of the 15 provinces of the island, including hundreds of thousands of Cubans marching in Santiago de Cuba, Cienfuegos and Santa Clara. A carnival atmosphere surrounded Havana’s Revolution Square, where the images of revolutionary heroes Ernesto ‘Che’ Guevara and Camilo Cienfuegos provided the backdrop to a rally which celebrated the achievements of the Cuban Revolution. Trade unionists, teachers, doctors, artists and students contributed to the wide range of colours, flags and banners on display and many in the crowd carried pictures of Cuba’s revolutionary heroes during the rally. A live band and dancers added to the celebratory atmosphere, performing a range of Cuban music styles, with a grand finale of a sing along to the Internationale. The brigadistas had free time in Havana following the rally, where they had the opportunity to visit Old Havana, the iconic Malecón, the Museum of the Revolution, the Committees of the Defence of the Revolution (CDR) Museum and the opportunity to soak up the sounds and sights of the lively capital city. On May 2 the brigade attended the International Meeting of Solidarity with Cuba conference at the Conventions Palace in Havana, the prestigious venue where Cuba’s parliament meets. The international conference, broadcast on Cuban television, gave the young activists a valuable insight into Cuban trade unionism and its crucial role in the government and economic management of the country. The experience of live translation through earpieces was a first-experience of its kind for many of the young members. The Conference included distinguished guest speakers Salvador Valdes, Cuban Vice-President, Ulises Guilarte, CTC General Secretary, Ana Teresita Gonzalez, Deputy Minister for Foreign Affairs and two of the Miami Five heroes, Gerardo Hernandez and Fernando González were in attendance. Over 1,000 international trade unionists attended, with speakers including Maggie Ryan from the Unite the Union EC and international speakers from trade unions in Nigeria, Palestine, United States, Honduras, Brazil, Venezuela and many more contributed to the discussion. The importance of international solidarity with Cuba to help end the blockade at this crucial time was the main theme of the event. Trade unionists from Brazil gave a timely update to the right-wing coup attempts taking place in their country. Other speakers highlighted how progressive governments across Latin America are currently under many threats from US intervention, regional oligarchs and right-wing destabislation attempts; all of which pose great threats to Latin America and progressives all over the world. Ana Teresita Gonzalez gave an update into the impact of the blockade and highlighted the extensive international solidarity with Cuba that exists over the world. The Deputy Minister for Foreign Affairs reported how the latest United Nations resolution on the blockade resulted in 191 – 2 in favour of ending the blockade; with just the United States and Israel supporting the policy; a credit to international solidarity and Cuba’s diplomacy. There were many political, cultural and historical visits included on the brigade including the Martyrs Mausoleum in Artemisa. The Mausoleum pays tribute to the revolutionaries who lost their lives during the attacks on the Moncada and Carlos Manuel de Céspedes army barracks in Santiago de Cuba on 26 July 1953 – the beginning of the July 26 Movement – which led to the successful Cuban Revolution and the ousting of the US-backed dictator, Fulgencio Batista on 1 January 1959. Here the brigadistas had the honour of meeting Artemisa resident Ramon Pez Ferro, a veteran from the 26 July Movement, a guerrilla in the Cuban Revolution and an internationalist fighter for Angola’s independence, who greeted the young activists on arrival to the mausoleum. In Santa Clara, the brigade the visited Che Guevara Memorial, the burial site of the revolutionary hero. They visited the nearby armoured train - the scene of the Battle of Santa Clara, where Che’s battalion attacked a train carrying weapons for Batista - a defining moment for the success of the Cuban Revolution. The brigade learned how co-operatives are playing an increasingly important role in Cuba, running many agricultural projects with profits being shared between the co-ops and the state. They visited co-operatives and met with their workers who produce a range of products using a variety of skills; including brick making, organic sugar cane and vegetable farming; rearing cattle and producing honey. The brigade had the unique opportunity to taste honey through a straw - direct from the hive - and to taste fresh sugar cane juice, metres away from where the cane was grown. The brigade offered experiences far beyond that of an average tourist in Cuba, with meetings with the leaders of trade unions and mass organisations, the Committees for the Defence of the Revolution (CDR), invitations to conferences, co-operative visits, and the opportunity to ask questions to both Cuban and international trade unionists. The brigade visited the Santci Spiritus province during the programme, where a local CDR organised a street party to get to know their international guests and demonstrate to the delegation the organising and community work carried out by the CDR. Amongst the packed itinerary there was free time where the young members had time for fun and relaxation. 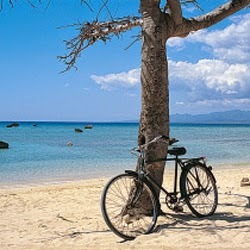 Many walked to the local village near the camp where they could practice their Spanish with locals by ordering food and drinks and talk politics - and football – and other visits including trips to the local beaches and the legendary Tropicana club in Havana. Conditions on the camp were basic, with accommodation in bunk bed dormitories, cold water showers and basic food provided. The delegation bonded over Cuban beers and Havana Club rum in the evenings, and the camp’s Cultural Night gave a unique opportunity for the delegation to perform in front of camp in a performance to represent their culture. The delegation’s performance went down well with the international crowd, with a performance featuring Welsh, Scottish and Irish songs, with a grand finale of The Beatles’ Hey Jude for a well known sing along for the crowd. The stall featured whiskey, beers, biscuits, tea, and trade union branded merchandise which went down a storm amongst the international camp - particularly the whiskey! 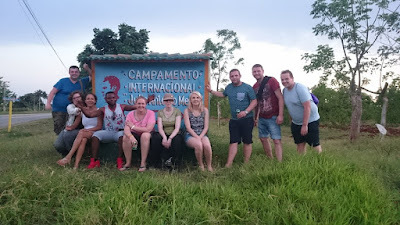 In addition to the unique opportunity of spending 12 days alongside Cubans, the international element on the camp allowed the young activists to make friends, contacts and networks with other activists from all around the world. The brigadistas ended the delegation with a renewed enthusiasm to become increasingly active in their trade unions and to work alongside CSC to campaign to end the US blockade of Cuba once and for all, to return the illegally occupied Guantanamo Bay area to Cuba and to stop US intervention on the island. The brigade saw first-hand the achievements of the Revolution; world-class schools and hospitals despite being under blockade for over five decades, inspiring organic co-operatives, and proud communities determined to defend their independence from US intervention. The Cubans made clear that Cuba needs international solidarity now more than ever, with the US changing its tactics rather than their goals. The support and solidarity from the British trade union movement is invaluable as we work together to end the blockade once and for all at this crucial time. The support of young members within the movement is crucial for future solidarity with the island, as Cuba continues to show that another world - where peoples’ needs are put before profit - is truly possible. 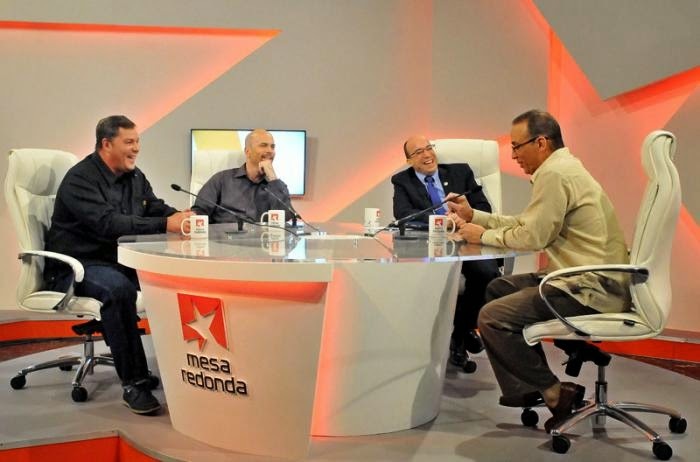 During the first of a series of interviews with protagonists of Cuban history on the “Roundtable” television program to be aired monthly, the anti-terrorist fighters Gerardo Hernández, Antonio Guerrero and Ramón Labañino recalled the moment of their release from U.S. prisons and their return to Cuba.